In my last post I alluded to what a mixed bag the weather in April can be. Well, let me tell you guys, back on the 12th April it was, to coin a well used local phrase…”baltic”!!! I kid you not. Still, as we had previously shot Jane & Nicky’s pre-wedding shoot in the freezing snow, I guess we should have been well prepared. I’d shot a couple of weddings previously at Forrester Park and it’s a fabulous venue, with, weather permitting, even the option to hop on a golf buggy to get some shots around the course, but, I did say “weather permitting” so this time around we were firmly encamped in and around the main building…and rightly so! But hey guys, as I’ve said many many times before, bad weather never spoilt a great party…and that’s exactly what we had :-). I mean, just look at the pictures below! Loved all the nice little touches on the day too – Jane wore her mum’s wedding dress and the theme of the day was one very much after my own heart…music…with everyone having their own vinyl record as a nameplate – vinyl…remember that! Still, of course, the best way to listen to music :-). Back at that start of April last year, I headed out on my first ever visit to the Radstone Hotel for Hannah & Gary’s big day, which was to be my 11th wedding out of what would eventually become 63! It’s always great to shoot at new venues – they bring with it a new challenge, new backdrops and new compositions…all guaranteed to keep you on your toes, which can’t be a bad thing…nothing worse than to stagnate and just keep doing the same old thing week in week out! And then there’s the weather to contend with. April can be a very mixed bag – it can feel like winter or, if you’re lucky it can almost feel like summer :-). Time elapsed permits me from recalling exactly how warm (or not) that it was but one thing I do know is that we had a very mixed day – rain up until dinner and then clear skies afterwards allowing us to get out and about and shoot some couple shots. Onwards then guys with featuring this years weddings :-). As I type this, I still have another five weddings to shoot this year which will make it 63 in total by the time I’m all done and dusted, making this, from recollection, my second busiest year ever, aside from the year I went bonkers and shot over 70 weddings – I’ve deliberately cut back since then for obvious reasons :-). 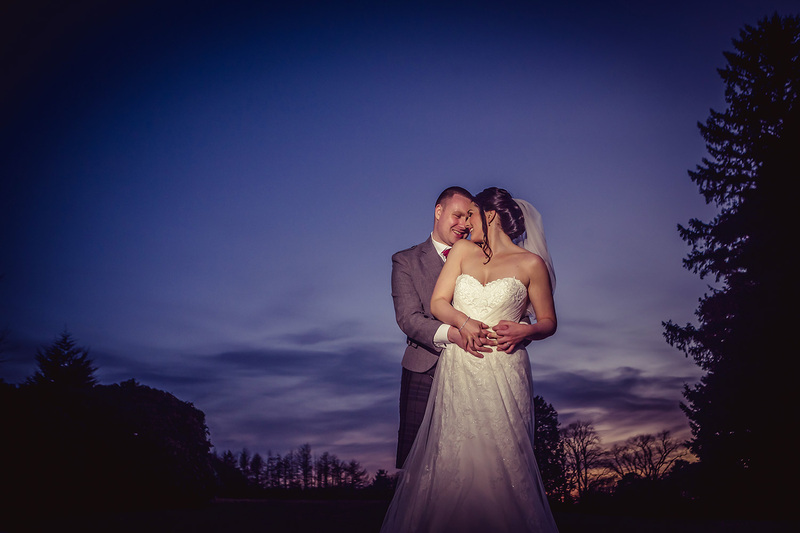 So back at the end of March, we had another one of those fabulous early Spring sunshine days for Leanne & Stuart’s big day at the Crutherland House Hotel. I’d only ever shot one wedding before at the Crutherland so it was great to be back again. 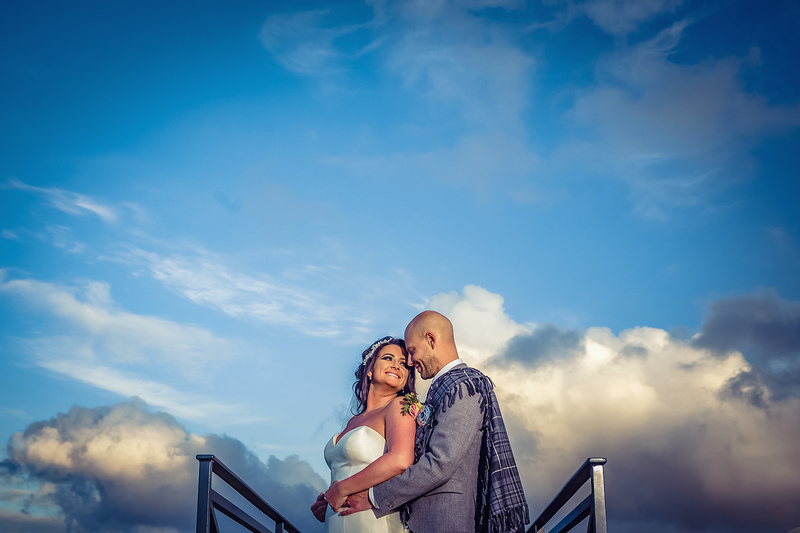 For those of you that follow my blog regularly (you know who you are :-)), then you’ll recall that in my last post I was going on about how much of a lottery March weddings can be in terms of the weather, with my last wedding before this being very wet and windy. Well, jump ahead a week or two, look below and you’ll see exactly what we got for Laura & Dean’s big day at The Vu…glorious sunshine and, from recollection, not too chilly either – what is it they say about March…”comes in like a lion and goes out like a lamb”…spot on! 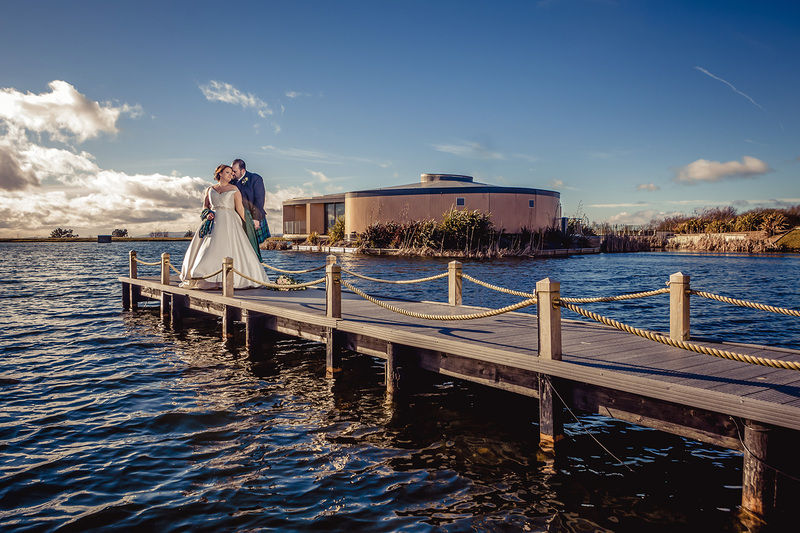 To say I’ve shot quite a few weddings at The Vu would kind of be an understatement – in fact, last year I was there eight times and the year before at least six, perhaps even seven. 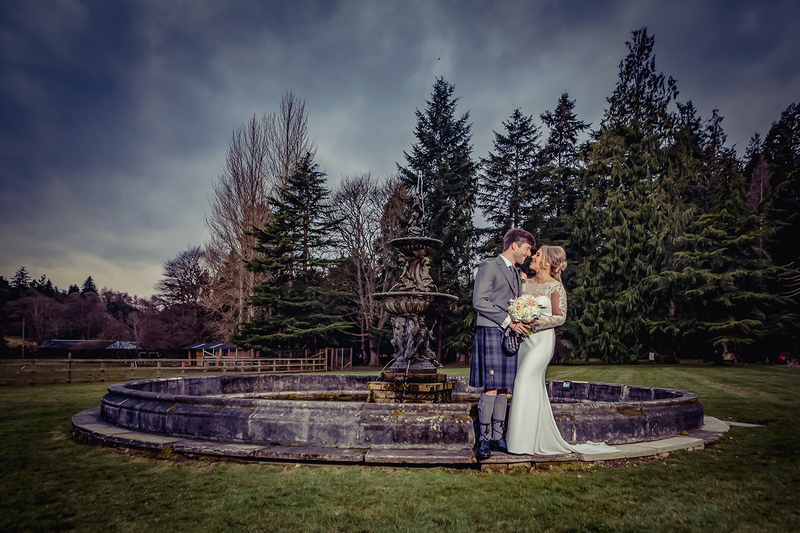 So, strange that it was then that this year Laura & Dean’s day was in fact my only visit there to date, although I am back again for my very last wedding of the year on the 30th December – funny how things go sometimes!